The V in TV stands for “visions” according to Carrie Preston (True Blood), the host of last year’s IAWTV Awards Show. Indeed, it is the visionaries of new media that the IAWTV, created by digital content-creators for digital content-creators, was founded to support. 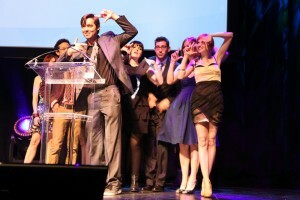 The best of this digital content has been honored at the IAWTV Awards Show the last four years. “I’m really excited about the awards this year,” admits Jonathan Robbins, creator of Clutch and star of Out With Dad and the head of the 2015 IAWTV Awards committee, “The awards get better every year and I want to continue in that direction.” Robbins is glad to have the support of an experienced cast of familiar faces. The IAWTV Awards moved to April for the first time this year due to an exciting opportunity to be part of NAB Show. “This will be the biggest and best IAWTV Awards yet! The co-location with and support from NAB Show is going to have a major impact on the event and IAWTV is really going to open some eyes there as well,” says Rick Calvert, founder of the New Media Expo. Also joining Robbins are IAWTV Award veterans, and board members April Grant & Amanda Shockley (Indie Intertube) and Jeff Burns (Super Geeked Up) who return to help craft a show to be remembered. Last year the Academy awarded distinctions to shows from Ireland and Vancouver with nominations from as far away as Australia. Robbins hopes to expand upon that International presence this year. “With web series festivals being created across the globe from Hong Kong to Rome to Marseille, the web series community is truly without borders,” says Robbins. Burns adds, “We’re thrilled to be partnering with NMX again to recognize the best in original online content at the 2015 IAWTV Awards Show at New Media Expo. NMX helped us produce our most successful show ever in 2014. We’re looking forward to being even more successful this coming year as they’ve co-located with NAB Show, making it the perfect place to hold our awards,” says Burns. Launched in 2006 New Media Expo was originally called BlogWorld and uses the popular hashtag #NMX on social networks Twitter, Instagram and Facebook. New Media Expo is the world’s first and only industry-wide conference, tradeshow and media event for all new media. Thousands of attendees learn about Content Creation, Distribution, Monetization, Social Media Marketing strategies, and bleeding-edge tools from the most successful and influential Bloggers, Podcasters, Vloggers, Web TV & Radio Broadcasters, and Social Media Visionaries. 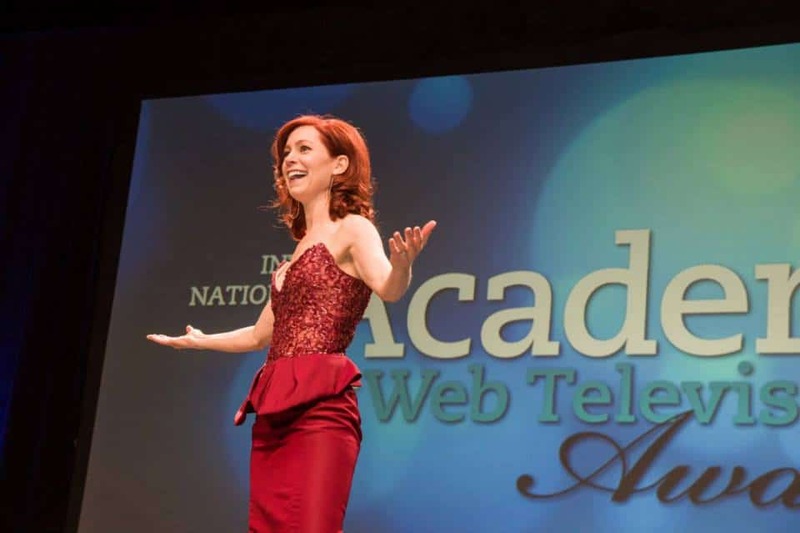 The International Academy of Web Television is a non-profit organization dedicated to the advancement of web television as well as furthering the common good and general welfare of industry professionals. IAWTV members include actors, agents, composers, distributors, directors, editors, producers, technology innovators, writers, and other industry professionals from digital entertainment companies, studios, and industry organizations. NAB Show is the world’s largest electronic media show covering the creation, management and delivery of content across all platforms. With more than 98,000 attendees from 150 countries and 1,600+ exhibitors, NAB Show is the ultimate marketplace for digital media and entertainment. From creation to consumption, across multiple platforms and countless nationalities, NAB Show is home to the solutions that transcend traditional broadcasting and embrace content delivery to new screens in new ways.